In the four months since a mysterious group of rich people took over the L.A. Weekly, news outlets across the country have continued to experience brutal cuts to newsroom staffs and other harsh austerity measures. More than 50 journalists from the East Bay Times and the San Jose Mercury News were laid off or took buyouts in early February. Two weeks ago, the Denver Post cut a third of its newsroom. The Los Angeles Times reports that the Southern California News Group, the company that runs the Orange County Register and other local papers, will soon begin “significant” layoffs. All those papers are owned by Digital First Media and Alden Global Capital, a vulture hedge fund that snaps up devalued assets and then strips them for parts. According to Nieman Lab, the fund might be tiring of burning down these local papers and could begin selling them soon. This brings us back to the L.A. Weekly, whose former writers, editors, and readers have been fighting a pitched battle against former Digital First goon Brian Calle in an effort to get him and Semanal Media to sell the paper. 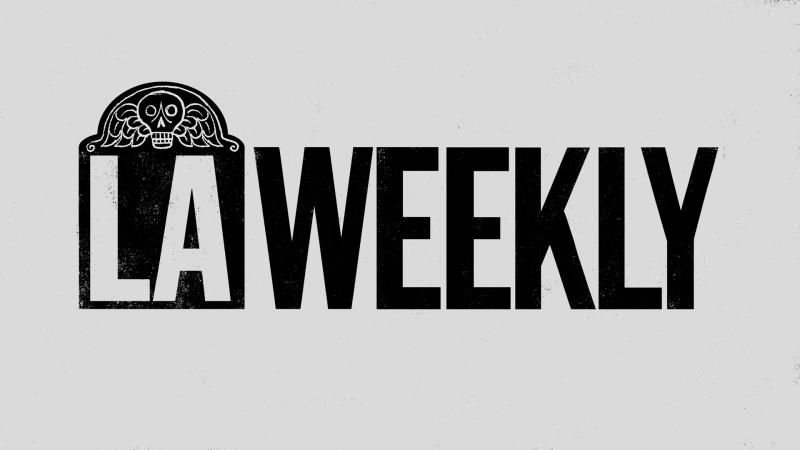 It’s been five months since the L.A. Weekly was cleaned out, with every editorial staffer but one laid off as soon as the sale closed. When it emerged that the new owners were very powerful benefactors of the right wing, the Weekly’s former writers and readers were justifiably pissed and called for a boycott of the paper. The #BoycottLAWeekly movement that sprung up after the sale is still going strong, and after shutting down two L.A. Weekly-branded events, the movement recently struck their biggest blow. This was apparently the last straw for the new owners, and for the first time since taking over the paper five months earlier, the Weekly’s new bosses responded to the boycott. On Monday, they launched the #SpeakTruth counter-offensive, a huffy and vague shot back at #BoycottLAWeekly. They accused the boycotters of cyberbullying; they also accused them of lying when they said the paper’s new owners, a bunch of conservative Orange County rich guys, were a bunch of conservative Orange County rich guys. That “Twitter troll” in question is Jeff Weiss, award-winning former L.A. Weekly columnist and leader of the boycott. “It’s hilarious to think that a bunch of rich de facto Republican operatives from Orange County who fired a bunch of journalists three weeks before Christmas [and] abdicated any cultural responsibility to cover what’s going on in Los Angeles politically or artistically, could somehow think that we are the bullies,” Weiss told Deadspin. The boycott recently launched its own site, cataloging donations made by the paper’s new owners and ethical missteps under the new regime, like promising restaurants a spot on the essential 99 list if they agreed to participate in the event, letting the paper’s director of marketing write editorial copy, copying and pasting from press releases, and changing the datelines on several stories by fired writers to make them appear fresh. They’ve been ratioed relentlessly this week, never more severely than when their new food critic revealed that she was not interested in the food-adjacent issues that made L.A Weekly’s food writing famous. These happen to be the same issues their competitors are all over. “I can’t wait for the future when they teach this as the greatest meltdown in journalism history. It’s Cheddar Bob shooting himself,” Weiss said. When asked if traffic has been affected by the boycott, a Weekly editor did not respond. Online traffic metrics are inconclusive, as Quantcast shows they’ve held more or less steady since the sale, while Alexa shows a precipitous drop. But traffic numbers don’t seem particularly relevant—the main critique of Semanal Media is that, in Weiss’s words, “they don’t know about journalism, and they don’t care about journalism.” The paper has done far less original reporting in 2018, and its (smaller) staff has been filled out by a few editors and a rotating cast of freelancers. Confusingly, their creative director also serves as the editor-in-chief. A March 21 story about Jewel, a new restaurant in emerging hotspot Virgil Village, highlighted the spot’s $9 avocado toast, but not its new neighborhood’s gentrification crisis. Former lead film critic April Wolfe is among the former Weekly employees who have supported the boycott, though she’s in the unfortunate spot of having her work occasionally syndicated by the Weekly. “People are constantly contacting me to get in touch with their ‘editors’ for the film section,” she told Deadspin. “I had two people just today [who] think I still work there, because they publish my work and because they only just last week changed my bio to remove ‘is the lead film critic for L.A. Weekly.’” The paper recently syndicated her review of Sweet Country, apparently without being aware that reviews are still under embargo for L.A. papers. Weiss denied the Weekly’s accusation that the boycott campaign had bullied restaurants into pulling out of the essentials event, noting that they only ever made vague references to harassment and that no restaurants have said anything about being bullied into leaving the event by callers spurred on by the boycott. It’s no coincidence that the cancellation of the event prompted the Weekly to respond, since it’s a big money-maker for the paper. “They’re terrified because they’re losing money,” he said. Weiss has also regularly noted the sharp uptick in bots and eggs who follow the Weekly’s Twitter account, and just before they dropped the #SpeakTruth, he too came into several hundred fake followers.